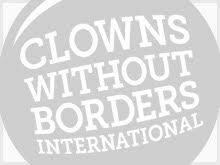 In December 1993, Clowns Without Borders Spain and the newly created Clowns Without Borders France went on a joint mission to attend refugees in Split and also toured the South of the Dalmatian Coast. In November 1993, Clowns Without Borders Spain performed shows for children in the camps in Croatia. In November 1993, Clowns Without Borders Spain performed shows for children in the camps of the Rijeka region. In October 1993, Clowns Without Borders Spain performed shows for children in the camps near Zagreb. In October 1993, Clowns Without Borders Spain performed shows for children in the camps of the Rijeka region. In July 1993, Clowns Without Borders Spain toured six Croatian refugee camps: Veli Joze, Porec, Rovinj, Kamenjak, Puntizela and Ucka. In May 1993, Clowns Without Borders Spain returned to Croatia to attend people from Barracks refugee camps and from the Center za Privat Progranika izibljeica in Zagreb.